Andorran bike brand, Commencal, had a surprise launch last night. Not another bike, not even another bike related product but a range of Skis! Yup, those, things that people strap to their feet and hit the slopes on in winter. I’ll be the first to admit that I’m a little out of my depth writing about skis. I’ve never tried skiing and I don’t pretend to know anything about them, so I’m relying heavily on the Commencal website for details and keeping my fingers crossed that a reader with Ski knowledge can jump into the comments below and tell us their thoughts. Commencal just wants you to get down. 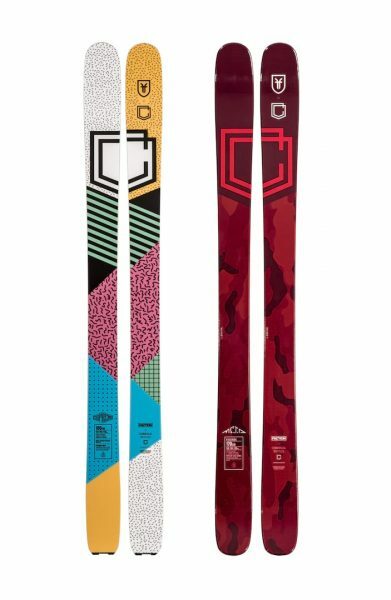 What I do know is that Commencal hasn’t just gone to some no-name factory and plastered some generic Skis with their own designs and branding, but has actually teamed up with Ski brand FACTION. 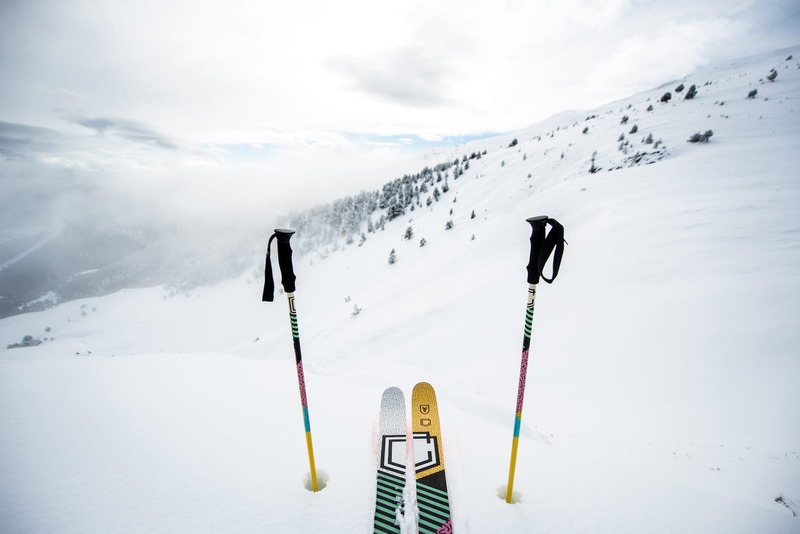 FACTION is a ski manufacturer based in Europe that was set up by a group of English, American, Australians and Canadians back in 2006 who wanted to produce quality skis at good pricing that needed very little maintenance. With help from FACTION, Commencal has released 2 levels of ski to suit two different types of skier. The META ski is aimed at people who are looking for a versatile and comfortable ski for groomed pistes, while the SUPREME ski is for big mountain skiers, the type of person who likes to hit freeride lines at full tilt. SUPREME Skis on the left META on the right. META skis cost from 599 Euros without bindings in sizes 170 – 190 and are made from a combination of a Poplar/Ash core and flax fibre layers. The more extreme SUPREME skis are priced from 649 euros and get a construction of Paulownia/Poplar and FACTION Fusion Light, sandwiched by two layers of Titanal, for a rigid ski. Commencal is also selling matching poles too. Nice! 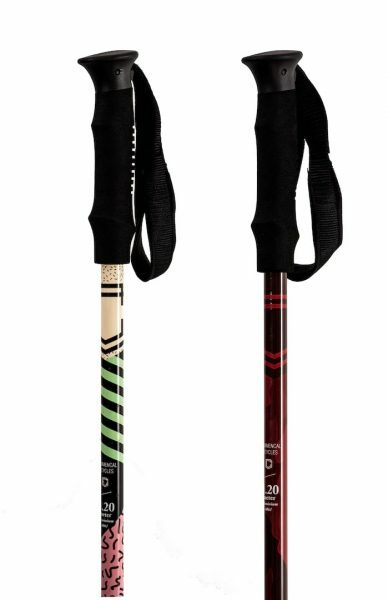 Along with skis and skis + bindings, the online Commencal Store has also been updated to include matching Commencal SUPREME and META poles costing 39.90 Euros a pair. 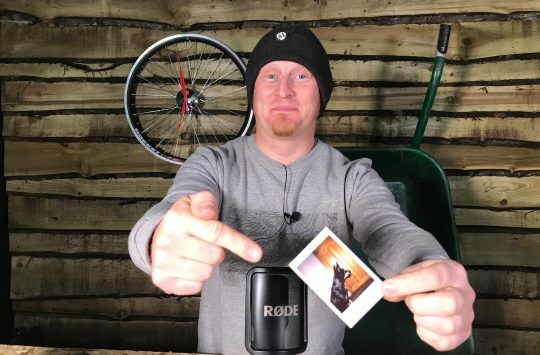 Before we start, let’s make one thing clear… We are a bike brand through and through! But we also live in the mountains and when we can’t ride bikes all winter because of the snow, we use them for another adrenalin filled sport. What better way to honour this way of life and compliment our range of bikes with a choice of skis! The COMMENCAL x FACTION Friendship is born. The spirit is totally in-keeping with our bikes and with FACTION we carry that spirit through to these winter playground essentials! 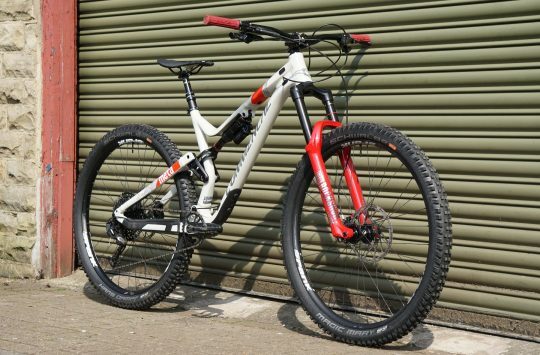 Obviously now Commencal has released skis, we’re all now wondering when a Commencal snowboard will go on sale, or perhaps even a Commencal Ski-Doo? Poll: Carbon, Alloy or Bamboo? 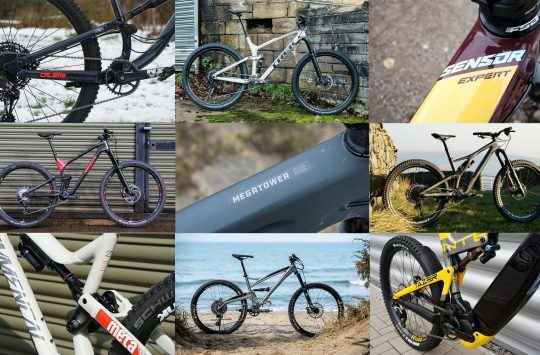 Which Material For Mountain Bikes? Do they work with Shimano SPDs ? Or speedplay ? Get a pair in about 182 length and I will give them a proper test for you!